What follows is an oft-told tale... a story of unlikely heroes and strange bedfellows. It's a tale that's been told by many before me and, I'm sure, will continue to be told after I'm gone. The power of the story lies, perhaps, in the promise of ordinary people doing extrordinary things, in a whole that somehow exceeds the sum of its parts... in the exalted possibility of 'art' happening when you least expect it. That, my friends, is The Goldwax Story. Quinton Claunch came up out of Mississippi, but the radio lured him to Muscle Shoals. 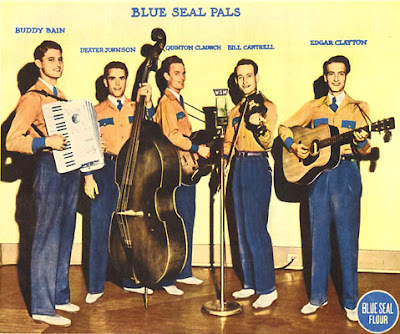 By the mid-forties, he had founded a down home country outfit that broadcast on WLAY, the Blue Seal Pals. 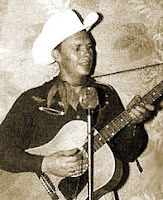 After the addition of 'Washboard' Bill Cantrell in 1946, they were able to step up to the more powerful WJOI in Florence, and actually created their own network of stations that carried their broadcasts, which were sponsored by the Blue Seal Flour Company. Now heard all over the South, they soon became a household name. Clear channel WSM in Nashville, the home of the Grand Ole Opry, signed them on to host their popular Saturday morning show 'Sun-Up Serenade', and things were hoppin'! The Pals just busted 'em up, selling out houses throughout the South, as they toured with folks like Rod Brasfield and Minnie Pearl. By the early fifties, however, as the nature of radio began to change, they were less in demand, and the group went their separate ways. 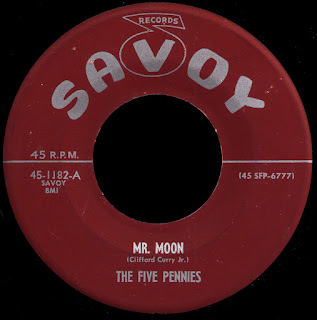 Claunch and Cantrell gravitated to Memphis, where former WLAY dee-jay Sam Phillips had opened a 'recording service' that soon evolved into the Sun Studio. The two former 'Pals' found work as studio musicians at Sun, backing star-crossed rockabilly pioneer Charlie Feathers, among others. They were there for what many would call the dawn of rock and roll, as guys like Elvis and Carl Perkins took the place of Howlin' Wolf and Ike Turner at the studio. Convinced they could carve out a little piece of magic on their own, Claunch and Cantrell joined forces with another 'singing cowboy' turned Sun rockabilly bad boy, Ray Harris. Together they approached local record man Joe Cuoghi about starting their own label. Cuoghi brought together a few other investors, and agreed to give the former Phillips' employees creative control. As we mentioned a couple of weeks ago, a record by Carl McVoy would become the first release on their brand new Hi label in 1957. The B side of that record, Tootsie, was written by Claunch and Cantrell. Like most everybody else involved, Quinton Claunch had a 'day job' as well, as an itinerant hardware supplies salesman. Just as things at Hi started looking good, with the Bill Black Combo's Smokie - Part Two bringing in some cash, something happened. 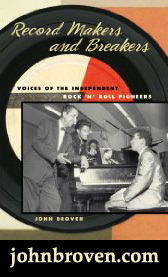 In Sweet Soul Music, Peter Guralnick says that Claunch left Hi in 1959 for 'a number of cogent reasons'. 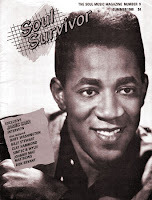 According to a Black Cat Rockabilly web page; "Quinton Claunch was forced out of the Hi partnership after cutting a Bill Black soundalike band for another label. 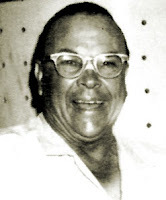 Carl McVoy bought Claunch's share for $7000, which he earned on the next Bill Black record, for which he brought an old Hammond organ to the studio." 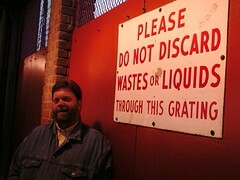 (which, I imagine, is the one that's still there). In any event, by 1960, Claunch was selling hardware full time. 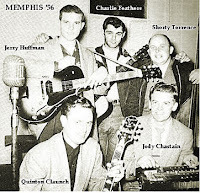 Guralnick goes on to say that Quinton had become friends with Rick Hall after The Fairlanes recorded for Hi in the late fifties (although there were never any records by them released on the label), and that Hall wanted him to become partners with him when he opened FAME down in his old stomping grounds of Muscle Shoals. Claunch turned him down, and watched as both his operation, and one that had opened in another old movie theater around the corner from his old Hi digs, began to take off. He was itching to get back in to the business. 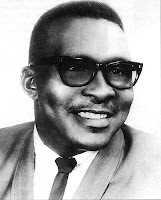 Entering into a loose partnership with a local pharmacist named Rudolph ('Doc') Russell, he took an R&B vocal group called The Lyrics down to see Rick Hall and recorded Goldwax' first release, Darling, in 1964. Although a moderate local hit, Claunch maintains that it was stepped on by his former partners at Hi, as he made the mistake of using the same distributor they did, London Records. "Roosevelt Jamison was a hard working lab tech who ran a walk-in Blood Bank in downtown Memphis for the University Hospital. His first love was music, however, and he worked as a manager and promoter of local Gospel acts on the side. The door of the Blood Bank was always open, and singers would drop by to rehearse in the relative quiet of the back room. O.V. 's group, The Harmony Echoes, did so often, and before long the two men hit it off. They began writing songs together, sharing their dream of 'crossing over' and making it big as so many others were doing at the time... Jamison, meanwhile, had made a demo tape of some of the songs he had written, with O.V. Wright and another member of The Harmony Echoes, one James Carr, handling the vocals. He had taken the tape to Jim Stewart over at Stax, but he didn't show much interest, claiming it was 'too Gospel'. As legend has it, Jamison's next move was to show up on Quinton Claunch's doorstep in the middle of the night with the tape in his hand." Whether it was just a tape Jamison had with him or, as Claunch is quoted as saying in Say It One Time For The Broken Hearted - "...I heard a knock on my door at about ten o'clock one night, and found Roosevelt Jamison, James Carr, and O.V. Wright standing there. They had this little portable recorder, so we sat right down here on this floor and listened to some tapes. Both of them just knocked me out..." - it remains a shining moment that lives on in all of our imaginations. The incredible selection we have here today (yes, it was released as a B side, as Claunch apparently thought Jamison's There Goes My Used To Be had more commercial potential), is the result of that night on Quinton's living room floor, and represents so much. This confluence of Gospel and Country, of very black and very white... this touchstone, if you will, of a whole genre that was to follow, just slays me. Here on his first 'secular' release, O.V. 's fully formed vocals (earned through his many years of singing in the Church) go right through you. A couple of questions I have about this monumental record remain unanswered... Guralnick reports that Claunch "took O.V. into the studio'"... what studio? I'm guessing FAME, but I'm not sure. It'd be great to identify that cool guitarist... and who, pray tell, were 'The Keys'? Guralnick goes on to say; "The record, distributed by Vee-Jay this time out, was a hit, eclipsing even the version by Otis Redding, which was recorded about the same time (late 1964) despite Stax's purported lack of interest..."
Well, as you may know, Billboard did not publish an R&B chart from 11/30/63 to 1/23/65, an idea that just didn't make sense. It is exactly that period which was home to so many seminal and influential 'race' records, like the one we have here today. In Whitburn's Top R&B Singles, he says that he has done research "to determine which R&B titles would have crossed over to an R&B singles chart." 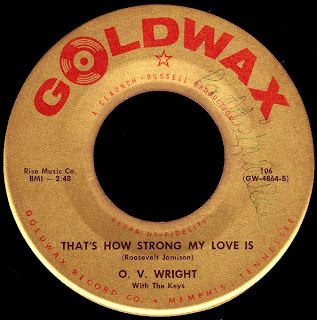 He reports the Otis version at #18 R&B on 1/30/65 (a week after Billboard re-instituted the chart). The O.V. Wright original is nowhere to be found. Which version was the bigger hit? An arrangement that, after all, didn't turn out too bad. I'm really glad I discovered your blog. A french magazine ("Telerama", ever heard about it?) gave the link in its newsletter today. Sorry my english doesn't allow me to speak in details about the pleasure I took listening those B-sides and reading your articles. Well, thanks there, ekwerkwe, et bienvenue a mes amis Française! What a great blog. I've just spent an age sampling some carved in stone classics: you were mentioned in The Guardian (a UK newspaper) today, and our office has been coated in soul all afternoon. 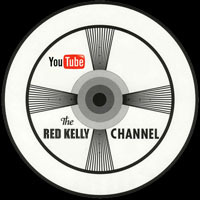 I discovered OV Wright throught RZAs Shaolin Soul compilation... I think that quite a few french hip-hop fans get to know him better and appreciate after that. Thank you for your respectful work in memory of OV. He deserved that. i love to imagine all these incredible acts killing it in the back of a blood bank.